I was too worn out from Top Week to participate in Meg’s Kid’s Clothes Week Challenge a couple weeks ago, although I had the best of intentions (and check out the fun stuff everyone made, by the way). But I did succeed in making a couple of things for the baby. 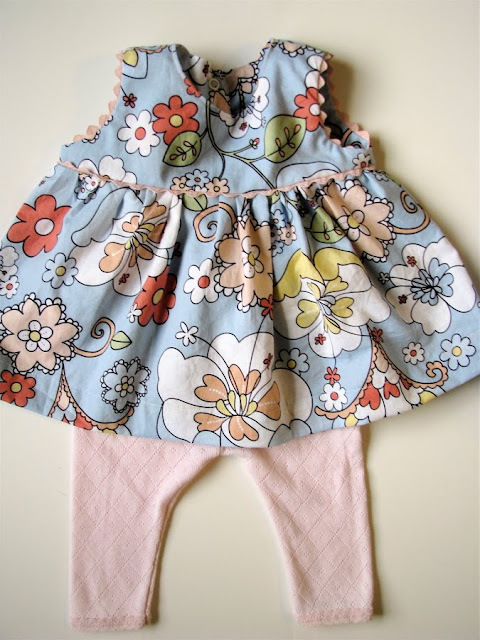 The pattern was the result of messing around with the Itty Bitty Baby Dress Pattern, sizing it up to a 9-month size, adding a back closure, raising the waist. I can’t say it’s all that interesting, just a basic shape, but I do always appreciate a good back closure when dressing my squirmy child. 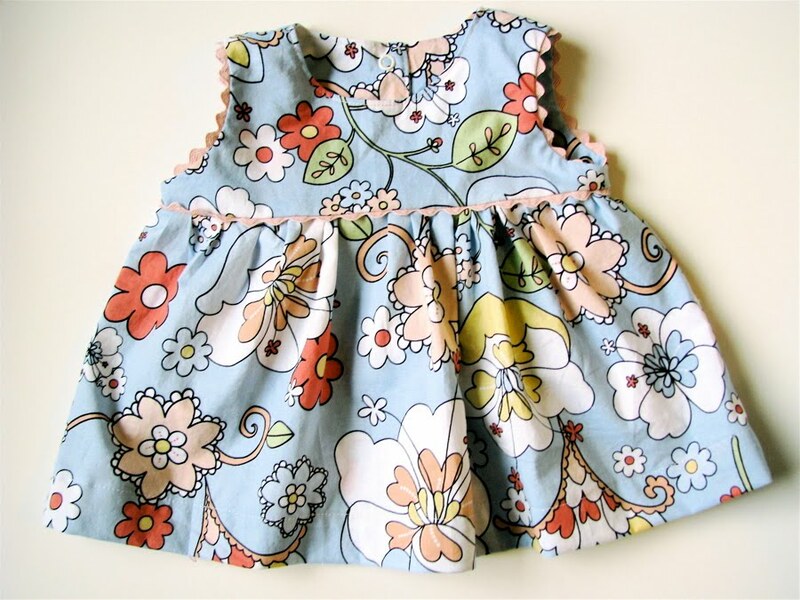 UPDATED (2/13): This pattern is now available as the Geranium Dress Sewing pattern in sizes 0-5T; if you’d just like a newborn size you can check out my free Little Geranium pattern, and do check out the tutorial on adding trim if you like the ric rac on the bodice! um should maybe fix that wonky ric-rac? 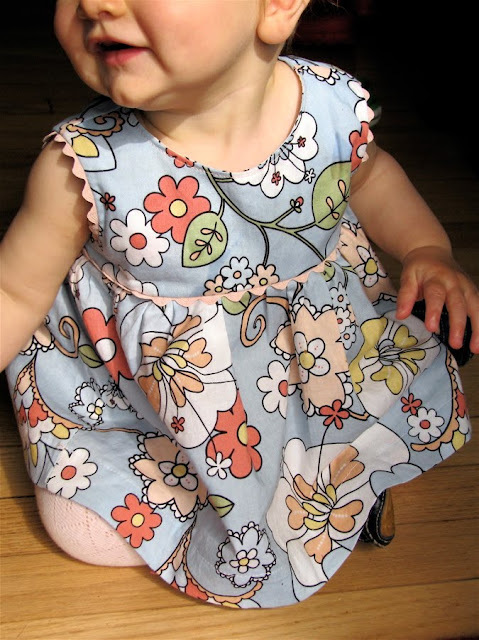 Some of you who have been around here awhile might recognize that floral fabric from the Itty Bitty Dress Pattern sample. You’d think I could cut into some of the NEW designer fabric I have yards and yards of just sitting on the shelf. But no, for new things I am such a wimp. I don’t want to risk biffing and wasting the fabric. You know, all half a yard of it (rolls eyes at self). 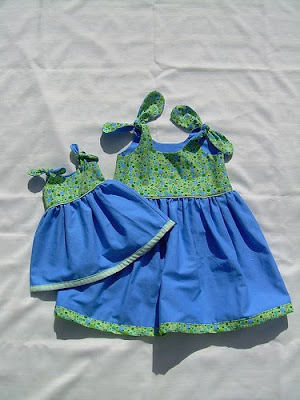 Anyway, I gotta use up my little scraps for tiny dresses before my baby girl gets too big. Or something like that. Since C is crawling now (at almost 10 months old) her dresses have to be short enough not to get caught under her knees. Not something you think about much, but 6-12 month size clothes for babies should always take crawling into consideration. She therefore needed something to go underneath, so I took an old pink knit pajama shirt and turned it into capri leggings. 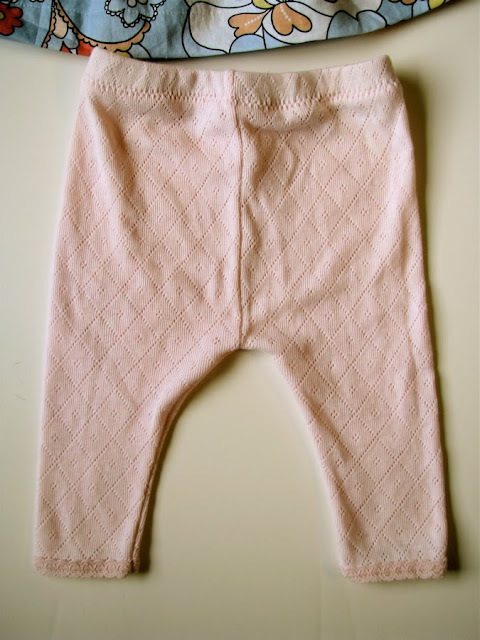 I used my Baby Tights Tutorial to do this, just chopped off the bottom 2 inches of the pattern (I think? You’d think it’d kill me to write this stuff down occasionally). I *heart* anything with ric-rac on babies and the pattern’s great. I’ll certainly use it again, enlarging it as the baby grows. Though this dress seems a little too boring for me to exert much energy producing it for public consumption, it seems like the sort of thing you could find somewhere else. But overall: Success! Thank you so much for all the congratulations! It’s so fun to hear from so many of you all at once, especially those of you who usually lurk! I love seeing so many familiar names; know that I read and appreciated all of your kind words, even if I’ll never be able to respond to them all (and forgive me for not really trying at this point…). We are having so much fun with Clementine; she’s so snuggly and sleepy all the time. I know it only gets better, but this stage is so much fun too. These are hazy days for us; the time slips by, we don’t know what day it is and there’s lots of napping. So great. Bias Trim: I folded a strip 2.5″ wide in half, sewed it to the bottom hem of the skirt, pressed the seam underneath upward and topstitched it down. 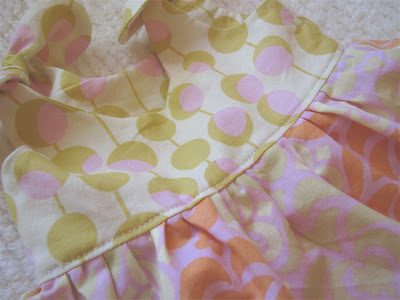 This way the folded edge is on the bottom of the skirt and you don’t have to do any hemming. Fit: When I wrote the pattern, I said that it was designed “to fit a preemie or small newborn (about 7 lbs) right from birth.” That was a guess. Now while I agree that this would fit a 7-lb baby, I think it would be way too big for a preemie; this fits Clementine just about perfectly right now, and she’s a little over 8 pounds (she spit up about half a pound the first day, having spent about 15 minutes total making her exit from the womb…). I’m not sure it would fit a 9-lb baby, but we’ll see! UPDATED: After nearly 5 years, we are sorry to inform you that this pattern is no longer available in the larger size. So sorry for the inconvenience! So I’m so excited to finally post about this — Amber has been kind enough to provide us with a toddler-sized version of the Itty Bitty Dress Pattern (and HOW CUTE IS THAT with the teeny tiny version and big sister version together in this picture???). The pattern is really very high-quality and impressive (Amber’s hubby is scoring significant points for help in the Adobe department!). Amber says that the pattern is about a 3T, as she made it to fit her older daughter who currently wears a combination of 2T and 3T. 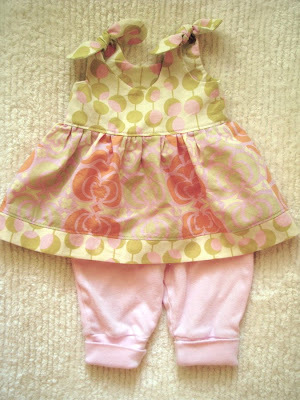 Be sure to check out the free onesie patterns she has on her blog too! I can’t wait to make my own version! Thanks so much, Amber! 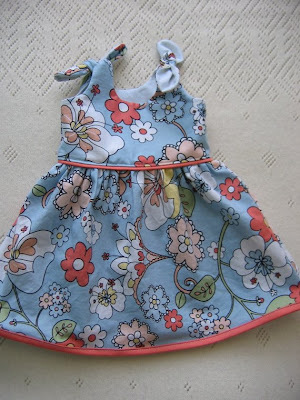 I hope you’ve had a chance to look over at the Itty Bitty Baby Dress Flickr group — there’s some mighty cute dresses in there to inspire you to get your rear in gear and make your own. Don’t forget to add yours to the group when you’re done. Also, a few of you had asked for a tutorial on freezer paper stenciling, which I’ve used to make a bazillion baby onesies in the past year. I found this awesome freezer paper stencil tutorial over at MakeBabyStuff.com, which is also a great site for crafty baby ideas. I’ve been using mine non-stop since I made it. 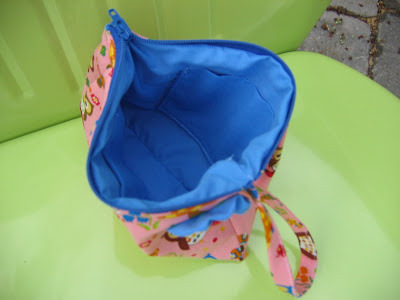 It’s just so handy to toss in a diaper bag or knitting bag or even a coat pocket. Fabric is Japanese import from Superbuzzy (which I noticed is having a spring sale right now!). Here’s one of the things I’ve been working on for the last couple of weeks — a pattern for y’all. 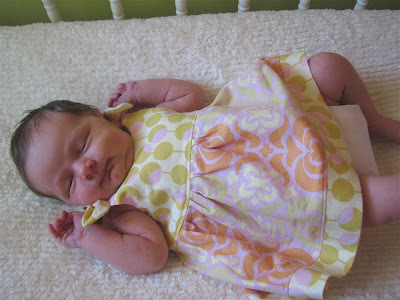 It was a baby dress I made up last summer (and consequently inspired my first post here). 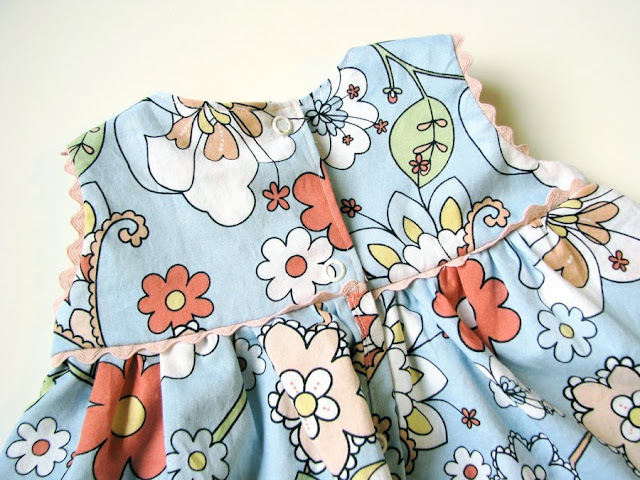 This dress is made with two fabrics, one for the outside and one for the lining. I also made my own bias tape out of the pinky-peach color, but it’s alot easier to just use store-bought bias tape and piping (which looks really nice around the waist). The dress ties at the shoulders and is easiest to get on over the legs (as opposed to over the head). 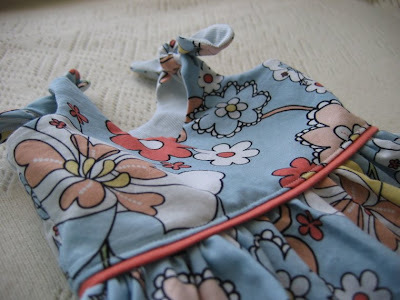 No zippers or buttonholes, so it’s ridiculously easy and fast to make. One thing I want to stress about this pattern is that it really is VERY SMALL. Like so small it would probably sell as a preemie dress at a store, but as many of you know, often newborn babies are really really small and nothing fits them for that first month. So I was trying to make a pattern that would fit right from birth. Additionally, since they grow so fast in the beginning, it won’t fit for a terribly long time. The first one I made (for friend Carrie’s baby Avery) only fit for a few weeks. So if you’re thinking you want to make this for a bigger baby I’d go ahead and just enlarge it on a copier. There’s a ton of give size-wise in the skirt though, so you could probably even get away with keeping the skirt the same size and just enlarging the bodice for a larger baby if you want. Happy Sewing! READ THIS FIRST: This file is intended for PERSONAL USE ONLY. Please respect my wishes for the use of this pattern. Thanks! A license-to-sell is now available for home sewists, please click here to purchase it, or read more about my seller’s program here. special thanks to Laura of Le Pecionate for translating the instructions into Italian for me! Having problems downloading? Most workplace computer systems block downloads, so if you’re having trouble you might need to download the file at home or from a different computer. 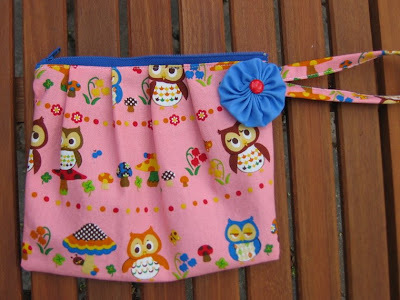 LINKING UP: If you would like to link to this pattern, please link to this blog post only and NOT directly to the pattern. Thanks! Looking for the toddler version of this pattern? Click here. Note: Instructions are NOT included with the toddler version, just pattern pieces.